He makes springs pour water into the ravines; it flows between the mountains. They give water to all the beasts of the field; the wild donkeys quench their thirst. The birds of the air nest by the waters; they sing among the branches. He waters the mountains from his upper chambers; the earth is satisfied by the fruit of his work. Do you think this is what God had in mind for his creation? 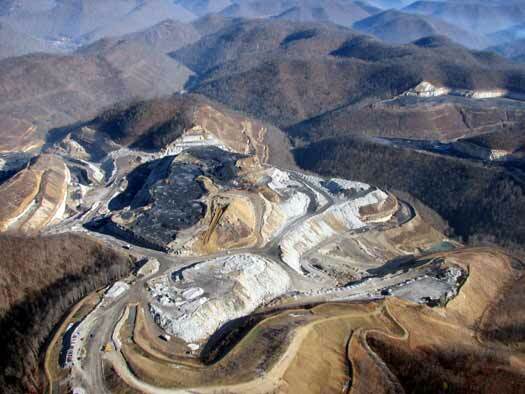 Mountain Top Removal severely damages waterways in Appalachia. Over 1000 miles of streams have been buried in valley fills. This is an area longer than the Ohio River! (OVEC) Just imagine, a vast area where fish and other aquatic life used to swim, where people used to fish and enjoy God’s beautiful work, now filled in with coal rubble and gone forever. Not only are streams destroyed, but local citizens must deal with contaminated water on a daily basis. Check out this video to witness a resident of Boone County, WV changing his water filter in Prenter Hollow.